Model T Ford Forum: OT - Our first Rumble Seat (pre) T? Model T Ford Forum: Forum 2013: OT - Our first Rumble Seat (pre) T? 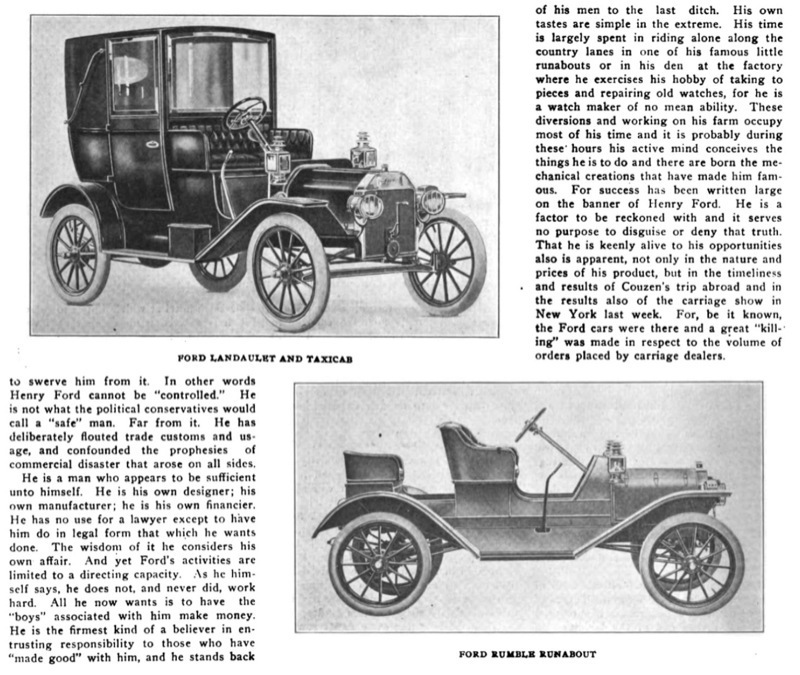 From an October 1907 "The Motor World" magazine article. 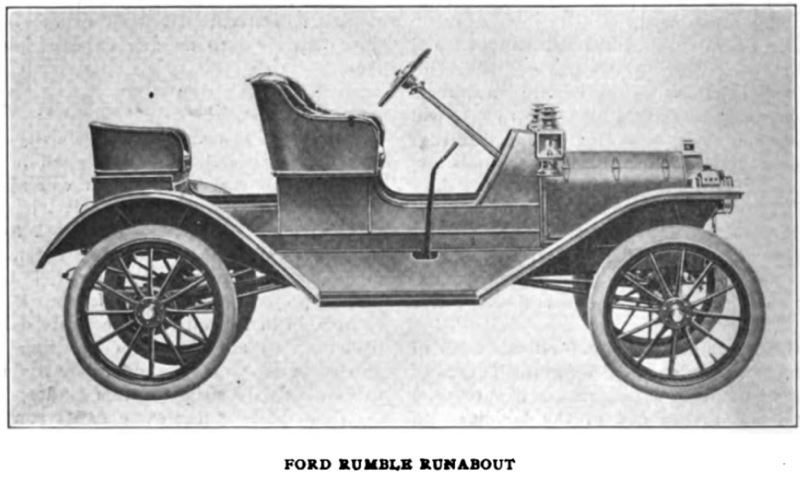 The author says he has seen the new Ford line of cars, including this "Rumble Runabout." This is prior to the New York auto show. Ford Motor Company audit report list one Rumble Seat (not listed with Model S) car sold in October 1907. Notice the hinged hood. 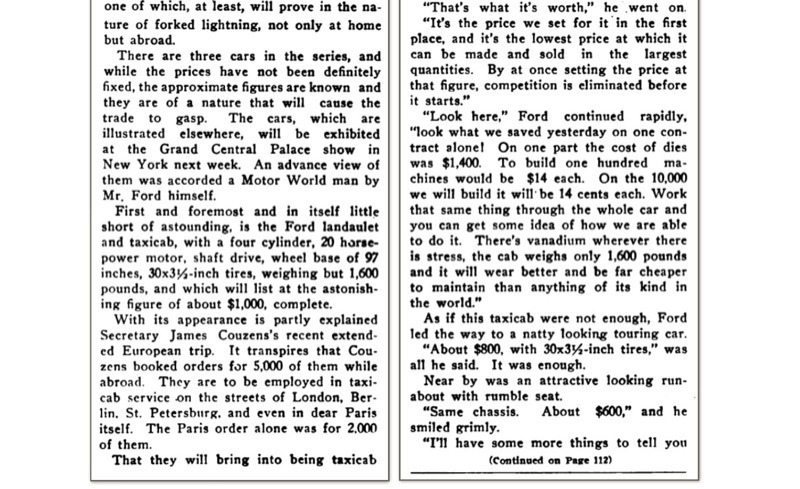 This is one of the best pre Model T articles I've run across. 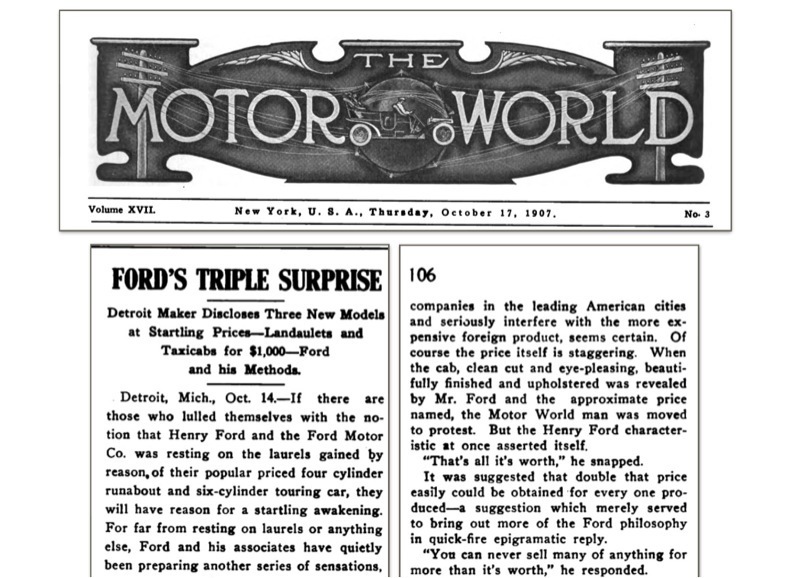 Published Oct 1907, a Motor World reporter describes each of the three body styles, along with general specifications.